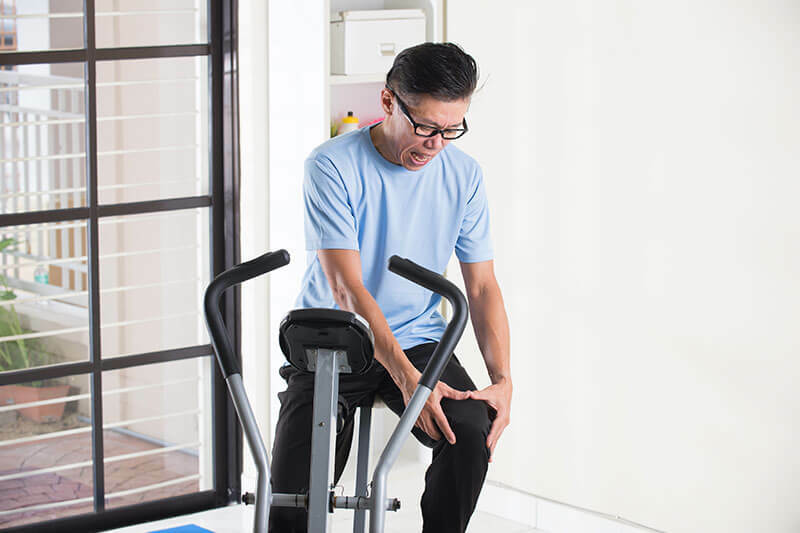 Whether it’s a gym workout or even a game of tennis, a sore body is a common problem most of us will face during old age. Here are types of treatments you can try for relieving aches, joint pains and for those suffering with arthritis. This technique is best utilized when your body has sustained recent tissue damage. Cold therapy works well to treat the pain and the resulting inflammation. It reduces your metabolic rate, inflammation, circulation, muscle spasms and pain. Cold therapy cools your skin’s surface and underlying tissues, which results in the narrowing of your blood vessels. This constriction causes a reduction in the blood volume to the site of injury, resulting in decreased swelling and relieving pain. When using cold therapy, it’s essential to keep in mind to never apply a cold compress for more than 20 minutes at a time. Also, always apply the compress immediately after the injury occurs. Hydrotherapy uses the principles of water to allow exercise and to alter exercise intensity. Increased buoyancy allows for more exercise than is permitted on land. Increased temperature and hydrostatic pressure promote increase in circulation and flexibility and decrease in swelling. Hydrotherapy is considered one of the safest treatments for managing arthritis and back pain. Improvement of balance and coordination. Heat therapy is best for chronic pain as heat allows muscles to relax and blood vessels to expand. You can use a low-level heat wrap on the painful area for up to 8 hours at a time to bring relief. If your injuries or soreness are in your knees, the Ebene Bio-Ray Knee Guard with Tourmaline provides effective heat therapy through the generation of bio-ray and far-infrared rays from natural mineral elements called tourmaline. The act of warming muscle fibres encourages the promotion of blood and oxygen circulation to reduce swelling and muscle spasms. Together with the added benefit of knee support and stabilisation, this product is extremely beneficial for those struggling with osteoarthritis in their later years. Not only is it comfortable to wear, it also prevents and protects from further injury by providing firm support. 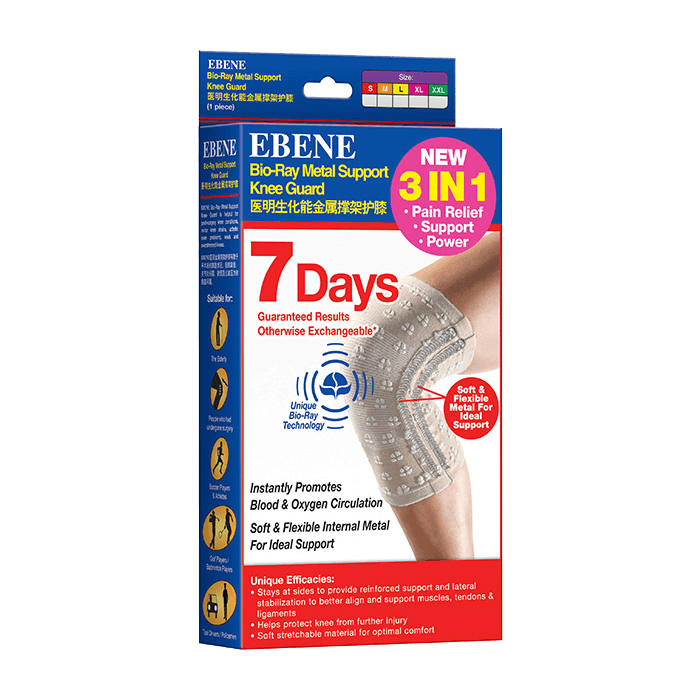 Ebene specialises in pain relief products for common joint injuries with the knee, ankle, elbow and wrist. With scientifically proven technology, it’s best to select products that promotes circulation through body warming as it not only reduces joint soreness, but also boosts vitality, physical performance and recovery speed while minimizing the pain of arthritis. Applying heat to your tissues increases your circulation or blood flow and causes your connective tissue to become more flexible. It also promotes a transient reduction in your joint stiffness, pain and muscle spasms. Using heat therapy can help you reduce the congestion in your tissues. Heat therapy has even been used to treat cancer, according to the American Cancer Society. Acupuncture is the practice of inserting needles into the superficial skin, subcutaneous tissue, and muscles at particular acupuncture points and manipulating them. In Traditional Chinese Medicine, there are as many as 2,000 acupuncture points on the human body that are connected by 12 main meridians. Pressure, heat, or electrical stimulation may further enhance the effects of recovery. Acupuncture improves bodily functions and promotes natural self-healing processes by stimulating specific anatomic sites- commonly referred to as acupuncture points or acupoints. One of the many traditional Eastern methods that can aid with pain is soaking the injured area in a mixture of hot water, ginger and salt. There are also herbal poultices that can be wrapped around the area for relief. With these helpful tips to bear in mind, you’ll be fast-tracked for a speedy recovery towards healthier days. For a knee guard that gives you extra strength in your movements, more stability, and boosted confidence to move freely. Click below to see how its unique features and benefits can help you.